Heart and Circulation Tonic by Pet Alive contains the herbs Hawthorne and Arnica for circulation and to support heart and artery health in dogs and cats. Heart and Circulation Tonic improves circulation and promotes heart and artery health in dogs and cats. To improve circulation to all parts of the body including the brain. In the treatment of heart conditions in elderly pets, as well as for angina and heart disease. To strengthen veins, arteries and heart muscle. PetAlive Heart and Circulation Tonic combines herbal and homeopathic remedies in a unique formula which is both effective and safe. It can be used on its own or as part of a broader treatment program for pets with heart and circulation problems associated with a range of problems. Crateagus oxycantha (Hawthorn) is a highly respected herb and has well-known cardio-protective properties. Hawthorn works by dilating blood vessels, thereby increasing the heart's energy supply and improving its pumping ability and does this by blocking the action of a blood constricting enzyme called ACE (angiotensin-converting enzyme). The anti-oxidant properties of hawthorn also help to protect against damage caused by plaque build-up in the coronary arteries. Arnica montana (D3), used internally, is very effective for the treatment of senile heart, angina, or coronary artery disease as well as for internal healing after surgery. Kalium Phosphate (C6) (Kali. phos.) is a biochemic tissue salt with many therapeutic benefits. For pets that suffer from heart complaints, regular use of Kali. phos. can help to alleviate heart palpitations, irregular heart beat, high blood pressure and dizziness and promote healthy blood flow to the brain. This tissue salt is also extremely useful for the relief of anxiety and emotional tension often associated with heart conditions. Calcium fluoride (C6) (Calc. flour. ): is another biochemic tissue salt which has excellent toning properties, helping to improve the strength, flexibility and elasticity of all body tissue, including the veins and arteries of the circulatory system. 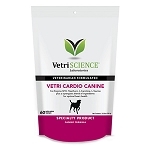 PetAlive Heart and Circulation Tonic comes in convenient dissolvable granule form. The tiny granules are easy to administer to animals of all sizes and personalities and are simply sprinkled on the back of the tongue and left to dissolve. No fuss and bother! Taken regularly, you should notice a gradual improvement in health and vitality. Due to the strengthening of the heart and improved circulation, symptoms such as fatigue should begin to disappear and appetite return. Your pet should generally begin to appear happier and more energetic within 3 - 6 weeks of regular use. One bottle of Heart and Circulation Tonic will last for 15 - 30 days, depending on the size and needs of your pet. Note: Please discuss the options with your holistic vet if your pet is already taking chronic heart medication. Medication should not be stopped suddenly except under medical supervision. If you are unsure of a diagnosis, please consult your vet before beginning home treatment. 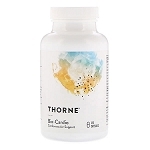 Heart and Circulation Tonic contains Hawthorne extract, an ACE inhibitor. If your pet is taking Enalapril, also an ACE inhibitor, please consult with your vet before purchasing this product.